We have a key person system for each of our children. We know that parents are most important and enduring educators of their children, and we understand the need for good communication and a good relationship through our key person system. Key persons are members of staff having particular responsibility for a child’s individual needs. Parents are informed who their child’s key person is when they start at the group. 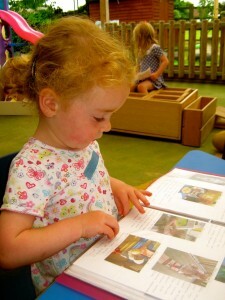 The key person will ensure that learning is tailored to each child and to their individuality. They will be there to support parents in guiding their child’s development at home. 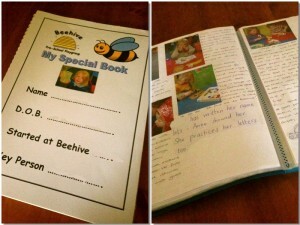 Written developmental records are kept by each key person on each child in their own ‘special book’, together with photographs and pieces of their work. They are also responsible for providing parents/careers with a short written progress check on their child between the age 2 and 3 years. This will highlight areas where your child is progressing well and any areas where they might need some extra help or support. We have a monthly newsletter called ‘The Buzz’ which will give you information about topics, dates for your diary and the latest news at Beehive. We also welcome suggestions from parents. The key person will take time to discuss with parents, at least once a term, about their child’s development and any concerns they may have on a regular basis during the time they attend our group.